Dr. Jeyasekharan Hospital was founded in the Southern most District of India by the Late Dr. N.D. Jeyasekharan & the Late Mrs. M. Rani Jeyasekharan in 1965. 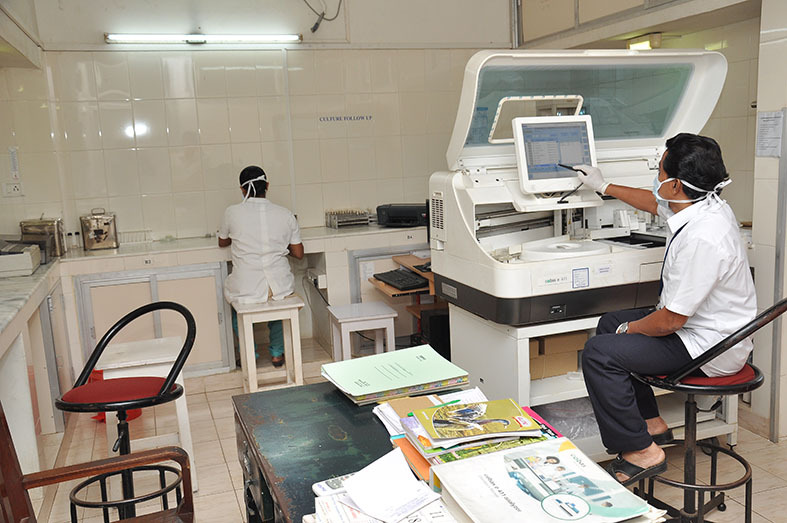 The quality policy of the Jeyasekharan Medical Trust is to educate personnel, develop management systems and most importantly, offer quick, affordable, appropriate and safe Health Care to all patients in a clean, well-maintained institution. Jeyasekharan Medical Trust is a ISO 9001:2015 & ISO 14001:2015 Bureau Veritas certified multi-speciality hospital having departments of Anaesthesia, Advanced Obstetric/Fetal Ultrasound, Bronchoscopy, Cardiology/Interventional Cardiology, Vascular surgery, Dermatology, ENT, Medical Gastroenterology, Surgical Gastroenterology, General Medicine, General Surgery, Maxillo-facial surgery, Nephrology / Haemodialysis, Neurology, Neuro-Surgery, Obstetrics & Gynaecology, Oncology, Orthopaedics, Paediatrics, Paediatric Surgery, Palliative Medicine, Plastic Surgery, Psychiatry, Pulmonology, Radiology/ Sonology, Rheumatology, Urology and Dentistry. There are 20 Full-time Consultants, 26 Full-time Medical Officers, 26 Part-time Consultants and 16 Visiting Consultants in the hospital. A total of approximately 150 Staff Nurses, 100 Technicians and 400 other Supportive Services Staff work in the institution. More than 4,000 Major and 10,000 Minor Surgeries / Procedures are carried out annually. Open-heart surgeries are performed regularly. More than 3500 Interventional Cardiology procedures have been performed. This Institution is recognized for Renal Transplantation surgeries. The Biochemistry, Clinical Pathology, Microbiology Labs along with the Blood Bank, CSSD, Dietetics, EDP, Medical Records, Nursing Services, Occupational Therapy, Physiotherapy, Pharmacy, EMD and Ambulance are the in-house supportive services. The institution prides itself in being the first private hospital in southern Tamil Nadu to have set up a water treatment plant, biogas plant and implemented other anti-pollution measures. On the social and welfare front the Institution conducts Medical Camps and Immunization / awareness programmes regularly. We sponsor sports activities, environment protection activities & carry community work in villages and also impart Basic Life Support training to students & staff of School, Colleges and public at large. Dr. Jeyasekharan Education, Research and Charitable Trust is a Charitable organization which helps the poor & needy in health care, educational and research programmes. 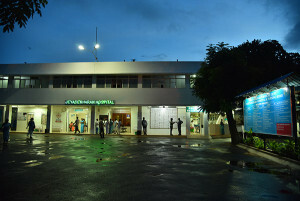 The hospital is recognized by the Central Government to give treatment to the employees of ISRO, ECHS, Bharath Sanchar Nigam Limited (BSNL), Employees State Insurance Corporation (ESI) and the Chief Minister Comprehensive Health Insurance Scheme (CMCHIS) of Tamilnadu, Tamilnadu New Health Insurance Scheme (MD India) for government employees and their dependents, retired staff and other private insurances. The Trust is at present run by Managing Trustee Dr.Devaprasath Jeyasekharan, Trustees Dr.Sabu Jeyasekharan & Dr. Ranjit Jeyasekharan, Administrators Dr. Renu Devaprasath, Mrs. Beena Sabu & Mrs. Sujatha Ranjit. It is indeed a matter of pride to see our Institution completing over 50 years of Health Care service.